Live an amazing life with the help of Beltone’s newest digital hearing aid. 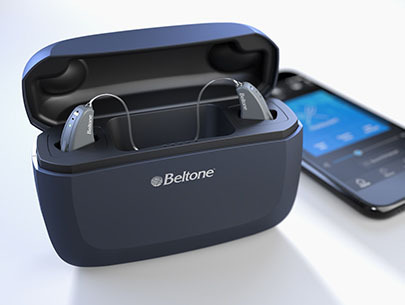 The Beltone Amaze offers a number of features that will enhance your natural hearing. Each device boasts dynamic sound, long lasting battery life, and innovative technology all in a discreet package. The Beltone Amaze has a number of features to meet your needs. Its newest feature is Impulse Noise Reduction, which allows users to enjoy the moment without the interference of outside noise. The Amaze’s Rechargeable batteries feature up to 30 hours of charge. You’ll never have to worry about your device failing on you in the middle of the day. If you’ve struggled with hearing phone calls or streaming your favorite entertainment, the Beltone Amaze offers Maximum connectivity with iPhone and Androids. You can adjust your volume, find out your battery charge, and more from your cell phone. When you have questions about your device, you can speak with a hearing care professional 24/7 with the help of Beltone Remote Care. 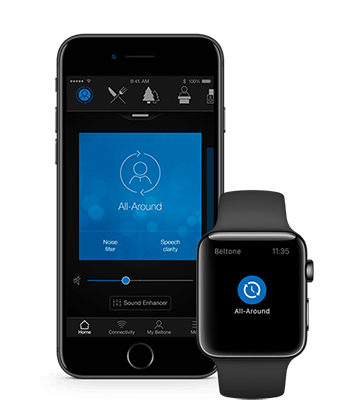 The Beltone Amaze is the perfect device for individuals looking for a discreet yet powerful hearing aid. To learn more about what the Beltone Amaze can do for you, give us a call or schedule an appointment online today.